Sports is a large niche, but the sports website niche is even larger. There are many different types of ways to build a sports website, whether you need to build a website for a specific team or league or whether you need to build a fitness website for a gym or personal trainer. Thankfully, the open-source nature of WordPress has given rise to a number of different sports WordPress themes. Our specific collection of WordPress themes allows you to build a variety of different sports websites with ease, from websites for specific teams in a league to business websites designed for gyms. 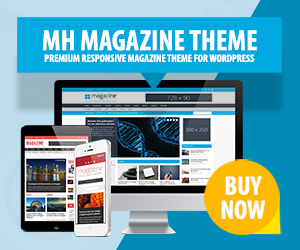 These professional WordPress themes provide a variety of different ways for you to showcase the most important information visitors of your website need to know, no matter if you’re building a fitness website or a sports website. If you’re a personal trainer or the owner of a gym, you usually need to be able to showcase the equipment / classes you offer, your in-house staff, your hours and maybe even a booking feature new customers can use to schedule an appointment with you or sign up for a class. Sports websites, on the other hand, typically need to showcase fixtures and results, player profiles, and similar information about the particular type of sport. We’ve already covered what types of sports WordPress themes we have in our collection, so let’s quickly go over the features they offer. A common feature among fitness WordPress themes is full compatibility with event calendar plugins, which makes it easy for you to manage the classes and other events your business holds. The sports themes even use plugins or custom post types to make it easy for you to build pages dedicated to team and player profiles. Check out our sports WordPress themes collection to see which theme suits your business, team or league best.